1. Drain the tofu and place on towels or paper towels. To get rid excess water in the tofu, place another towel on top of the tofu, then place something flat and heavy (like a cutting board or a cast iron frying pan) on top. You can weigh the cutting board down by putting a couple of cans of soup on top. Let sit for 10 minutes. 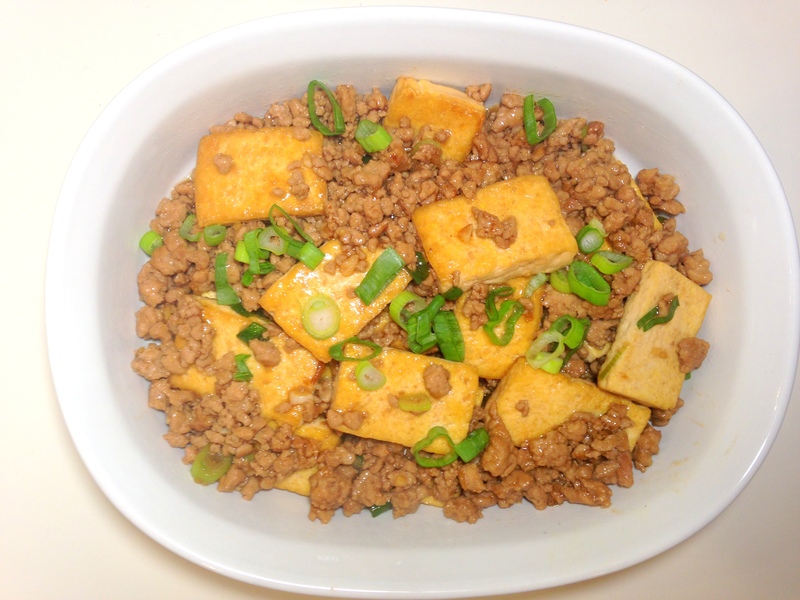 Cut the tofu into several slices 3/4″ thick. Season on both sides with salt, pepper. Ooooh I love the idea of taking out the cornstarch…lower carbs is right up my alley. Need to try this one ASAP!!! Omg this was so great!! (ASAP ended up being 3 years later, but better late than never, right?!). So good and def doesn’t need the cornstarch! I totally get how you could eat the whole 4 servings in one sitting.